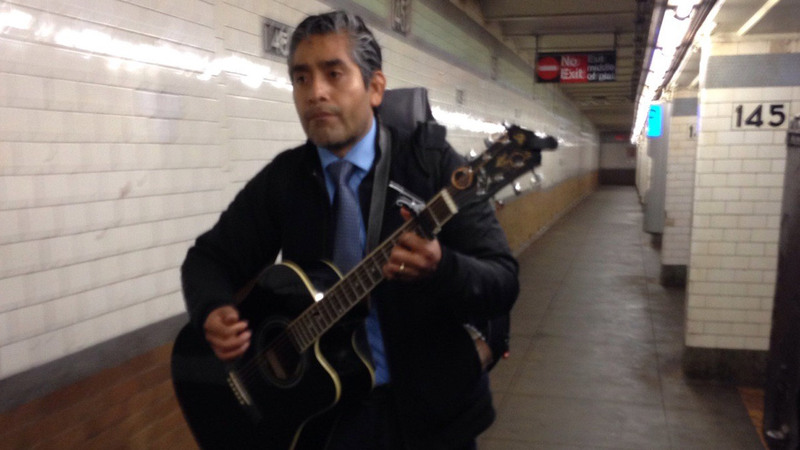 SUGAR HILL, Manhattan (WABC) -- Police are looking for a man after they said someone carrying a guitar exposed himself to a woman in Sugar Hill. Around 4:30 p.m. March 1, a 31-year-old woman was walking on the southbound platform at the 145th Street subway station when a man asked her for directions. She soon realized that he was using his hands to touch his exposed private parts, according to the New York City Police Department. The woman ran away, but was able to take a picture of the man before he fled onto a southbound No. 1 train. The man is described as 45, 130 pounds, 5 feet 5 inches, with grayish black hair. He was clean shaven, and last seen wearing a dark jacket, blue jeans and dark shoes with a light blue shirt and blue tie. 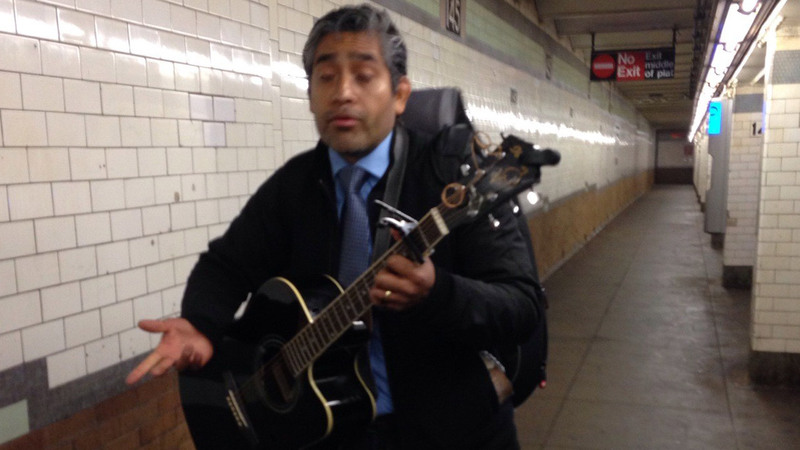 The man was playing a dark colored guitar slung across his chest.